Parades are a lively and creative tactic American Express leverages to reveal what it stands for. When the rainbow flag was raised in 2011 in celebration of the Marriage Equality Act, it marked a critical shift in the way Americans perceive the lesbian, gay, bisexual, transgender and questioning (LGBTQ) community. And brands didn’t waste any time incorporating the spirit of acceptance into their event marketing strategies. LGBTQ events today have become an effective way for companies to not only legitimize the community, but to tap into a demographic whose purchasing power rose to $917 billion in 2015. 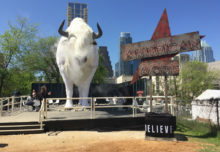 From banks to fast food chains, brands of every variety are making a bigger effort to connect with this powerful target. A long-time supporter of the community, American Express is leading the way when it comes to producing meaningful LGBTQ experiences. 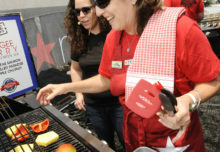 The brand’s PRIDE network, an employee resource group that fosters an inclusive work environment, recently marked its 21st anniversary and ultimately motivated the company to extend its LGBTQ engagement to cardmembers. It all began five years ago when a handful of members from the network designed an LGBTQ-focused program that aimed to influence consumer behavior in Provincetown, MA, a location known for its large LGBTQ population. The strategy was twofold, combining the pride campaign with American Express’ Shop Small platform in an effort to measure the success of the LGBTQ program while earning the loyalty of small business owners. Five years later, the program has grown from one to 11 markets and is activated for six full months, kicking off in June for Pride Month and wrapping in November. 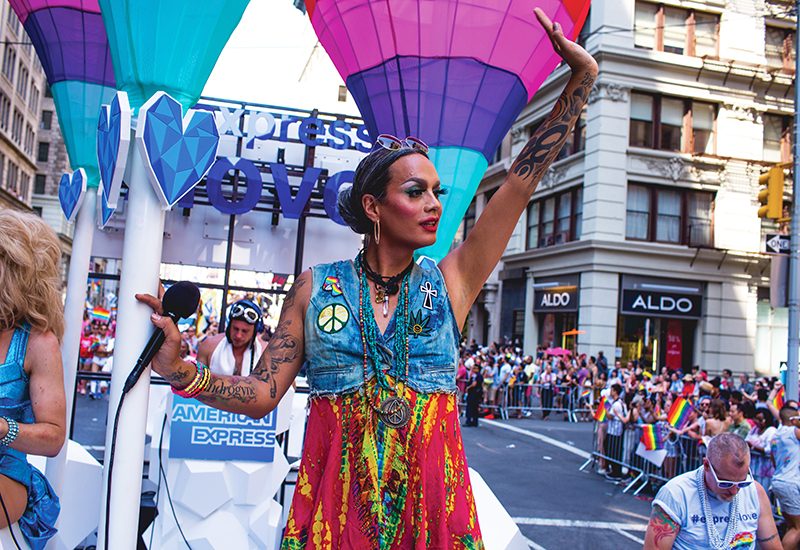 The 2016 campaign, dubbed “Express Love,” included pride parade float activations in each market (ExtraExtra Creative handled), and myriad consumer giveaways, including poem cards that explained the campaign and drove attendees to a website offering market-specific LGBTQ content created in partnership with PAPER magazine. Influencer events were also produced in each market to benefit local LGBTQ nonprofits and to discuss the importance of the campaign. The 2016 campaign, dubbed “Express Love,” included pride parade float activations in each market, consumer giveaways and influencer events. 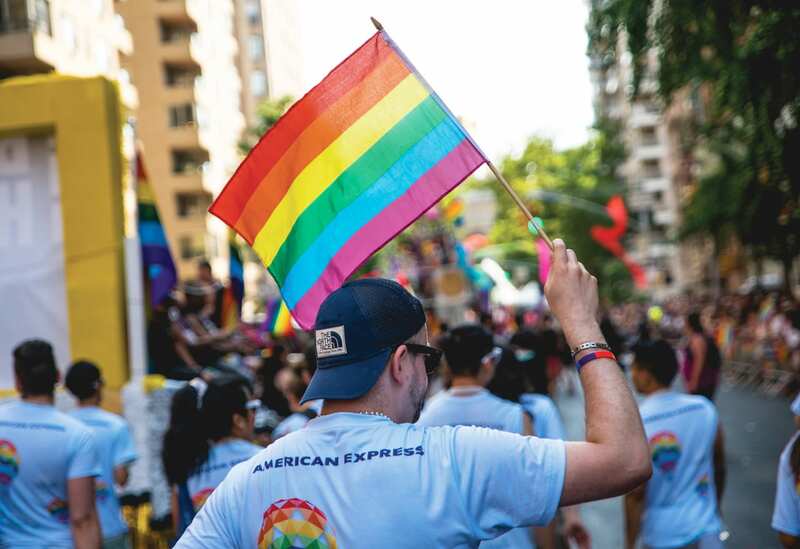 Over the years, the campaign has helped American Express boost its bottom line, but the real value lies in consumers’ improved perception of the brand—a direct result of its LGBTQ efforts. It’s a concept not lost on countless other brands who have beefed up their own LGBTQ efforts, especially over the last two years. In 2015, a San Francisco Burger King sold rainbow-packaged Proud Whoppers during the city’s pride parade, while Pepperidge Farms’ Goldfish brand doubled its pride parade sponsorships and offered rainbow-colored fish on select packaging. In addition, Australian bank ANZ’s “GAYTMs” appeared bigger and bolder than ever in 2016 for Sydney’s Gay and Lesbian Mardi Gras, and Chipotle staff handed out “Which way do you sway?” badges while sporting “Homo Estás?” shirts for its parade sponsorship. So how do you get started if your brand is new to the LGBTQ space? Mastri says it comes down to showcasing your brand’s commitment to inclusivity.